You want it we got or can get it for you. 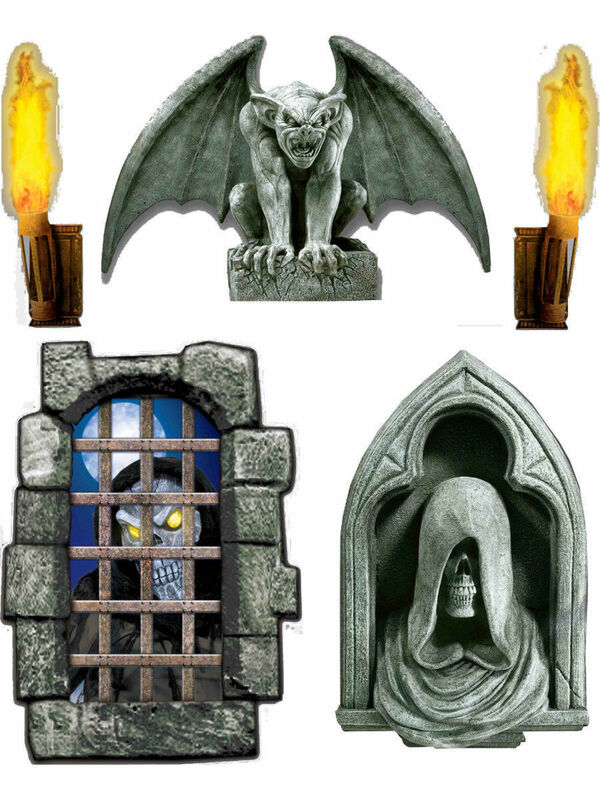 Set of 5 Dungeon Decor Creepy Window Scene Item number: FN68915 Brand new Fantastic quality Halloween Gargoyle Scene Setter wall decal! These are great quality, that just happen to be great for Halloween. Even better with the other Halloween items in our store! This posting includes: large 20 square foot scene setter creepy window decal sheets Please note that only the items listed above are included in this posting. New in package - ready to ship now! These huge scene setter wall decals are an awesome decoration for haunted houses! Set of 5 decals includes the gargoyle, sconces, barred window with peeping reaper, and hooded figure.